Lightweight, concentrated serum that reduces static and adds shine with superior frizz control. The best solution for frizz in the biz. 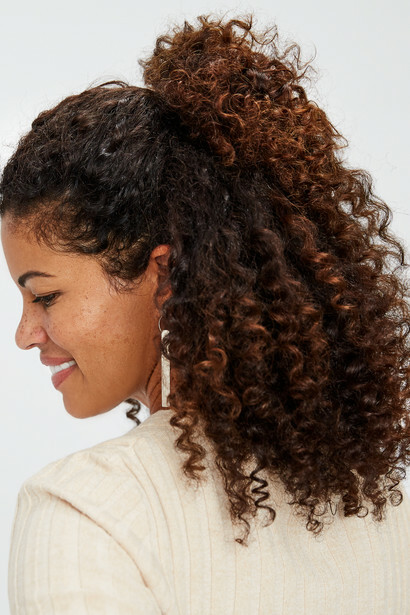 This serum is a must-own for medium-thick or curly hair types—a concentrated oil that works wonders in just a couple of drops. Enriched with silk protein for increased hydration and provitamin B to promote healthy strands that are smooth to the touch. Apply a dime-sized amount to towel-dried hair, concentrating on the ends. Comb through and style as usual. We use ingredients that prolong and enrich your shade through a Five-Factor Approach. Client experiences and color journeys. Provitamin B5 moisturizes and imparts healthy shine. Silk Protein attracts and binds water for increased hydration. Dimethicone, Cyclopentasiloxane, Dimethiconol, Cyclotetrasiloxane, C12-15 Alkyl Benzoate, Ethyl Ester of Hydrolyzed Silk, Oryza Sativa (Rice) Seed Protein, Oryza Sativa (Rice) Extract, Glycerin, Sodium Benzoate, Gluconolactone, Calcium Gluconate, Phytic Acid, Panthenol, Phenoxyethanol, Fragrance (Parfum), Benzyl Benzoate, Butylphenyl Methylpropional, Citronellol, Hexyl Cinnamal, Linalool. What is Light Set and how is it different? Light Set is a professional home lightening set that adds dimension. Our simplified technique is made for at-home application, and combines the painted on results of balayage with the one-on-one, personalized service you can expect from eSalon. Our highlights give a natural, sunkissed look that’s up to three levels lighter than your current color. Lightening with Light Set is gradual, meaning every time you highlight your hair it gets lighter. Your Light Set promptly arrives at your door, with step-by-step instructions for an easy application, all the professional tools you need to paint on highlights, complete with a salon-grade Toning Mask. You won’t have to worry about messy foils or “crochet” caps again. How do I select the best set for me? With six sets to choose from, it’s easy to select one that’s right for you. Different shades require different processing times and developer volumes. We’ve selected the best developer and processing times for that hair color, in addition to a Toning Mask that balances brassiness. Choose the set that best matches your current base color. If you’re already logged in to your eSalon account and receive custom hair color, you’ll see our recommendation based on your current shade right there on the page. Balayage is a French technique that means “to sweep.” Our highlights are painted on to create a multidimensional, sunswept look without harsh lines or high-contrast roots. Your highlights with Light Set will gradually become lighter with each application. Once you’ve reached your desired result, we’ll help you maintain your sunkissed look. The best part? They're low maintenance! Balayage creates a soft, lived-in finish for less noticeable regrowth and longer-lasting results. How do I apply Light Set? Every Light Set includes step-by-step instructions to guide you, whether you’re applying new highlights or refreshing current highlights. We’ve included a brush in every set for easy, paint-on application. Our how-to videos are designed to walk you through the entire process from start to finish. Plus, our colorists are always available via email or phone to answer any questions you have. How often do I need to apply Light Set? We recommend that you refresh your highlights every 2 to 6 months. And if you need help, our team of expert colorist are at your beck and call to answer any questions or to recommend how often you should apply highlights. Can I apply Light Set with my color application? For the best result, we recommend applying your custom hair color before you lighten. You should apply your highlights within the same week as your color, but the same day is okay too—it’s up to you! What does the Toning Mask do? Our Toning Mask is a luxurious 2-in-1 product that conditions and smoothes the hair while adding necessary pigment back into lightened sections. The toner shade in each set is pre-selected by a colorist, and will neutralize any brassiness or enhance tones (redheads) to help you reach your color goals. This Toning Mask is unique to home highlights. Can I save remaining lightener for my next application? Since every Light Set application is designed for one-time application, we can only guarantee the best results with immediate use. Got more left over? Toss it—it won't be any good later. 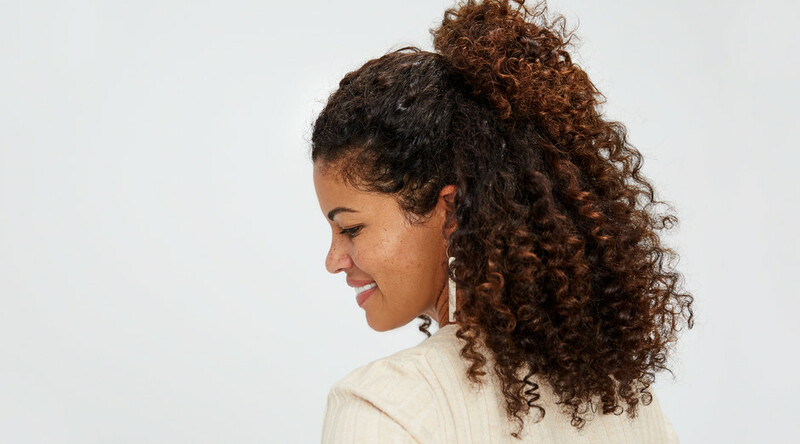 Why can't I use Light Set on permed, relaxed, henna or chemically-treated hair? We do not recommend applying Light Set on hair that has been chemically treated with anything other than hair color, since we’re unable to predict or guarantee the results. Works to safeguard hair against daily damage and color-fade. Creates a preventative barrier from external color and cuticle aggressors. Provides essential nutrients to help maintain radiant health. Revitalizes and restores hair back to its natural, happy state. Strengthens weakened hair to promote durability for the long run. Our automatic delivery plan just got a refresh. What you want, when you want it, shipped to your door in one box—color, products, you name it. You’re free to add, skip or cancel any item. It’s pretty much the best thing ever.